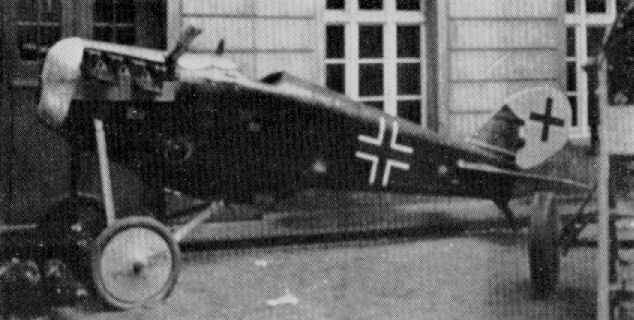 Very little information is available on the Aviatik D IV single-seat fighter, but this extremely rare photograph has survived, showing the fuselage without the mainplanes and vee-type engine. This two-bay fighter was a mid-1918 production from the Aviatik stable. It was designed round the geared 195 h.p. Benz IIIb vee-eight motor, which was installed with a large square car-type radiator on the nose. Normal wooden construction was used, with ply-covered fuselage and fabric-covered flying surfaces. Only one D VI was built, and it was soon succeeded by the D VII, but it took part in the second D types Competition and recorded a climb to 5,000 m. (16,400 ft.) in 20.3 min. and 17.1 min. on two different attempts. The loaded weight for the climbs was 920 kg. (2,024 lb.). Armament, twin Spandau machine-guns. During 1918, Aviatik was working on prototypes of several single-seat fighter biplanes simultaneously, two of these, the DIV and the D V, being powered by the Benz Bz IIIbv geared engine which was a larger-volume version of the Bz IIIbm. Apart from its power plant and a redesigned and enlarged rudder, the DIV was essentially similar to the D III, while the D V was a new fighter design which discarded flying wires. Prototypes of both types were built, but protracted engine teething troubles delayed the programmes, and there is no evidence that either was flown. The D VI, the sole prototype of which was flown in August 1918, bore little relationship to earlier Aviatik single-seat fighters, and was a two-bay biplane of wooden construction with ply-covered fuselage and fabric-covered wings and tail surfaces. Armament comprised two synchronised 7,92-mm LMG 08/15 machine guns and power was provided by a geared Benz Bz IIIbm. The D VI was intended to participate in the second D-type Contest held at Adlershof in June 1918. Owing to problems provided by the reduction gear of the Bz IIIbm, it was too late to participate in this contest, and by the time type-testing had revealed excellent flight characteristics, the D VI had already been overtaken by the D VII. Max speed, 117 mph (188 km/h). Time to 16,405 ft (5 000 m), 17.8 min. Empty weight, 1,653 lb (750 kg). Loaded weight, 2,072 lb (940 kg). Span, 31ft 8 1/3 in (9,66 m). Height, 8 ft 2 1/2 ft (2,50 m). 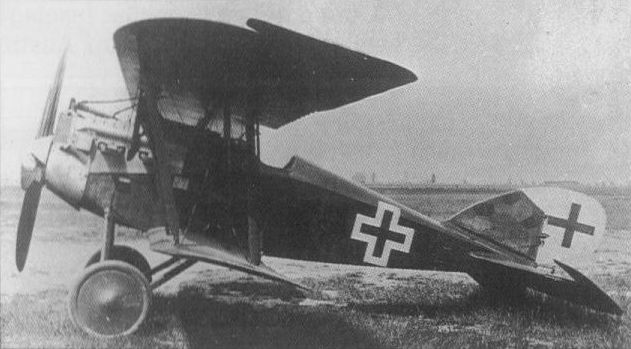 Single example of the Aviatik D.VI Single-seater Scout (1918). (195 h.p. geared Benz engine). The Aviatik D VI was too late to join the D-type Contest of June 1918 due to engine problems.